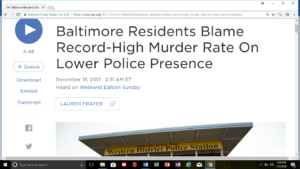 The government NPR radio network and website is promoting a story suggesting that Baltimore’s high crime rates are owed to a lack of police officers in the city. Wherever city governments have cut police staff and budgets, crime has tended to go down. See here. This seems counterintuitive; but people tend to become safer when they take responsibility for their own personal safety. Just as in health care and welfare policy, government intervention is a poison that worsens almost everyone’s circumstances. 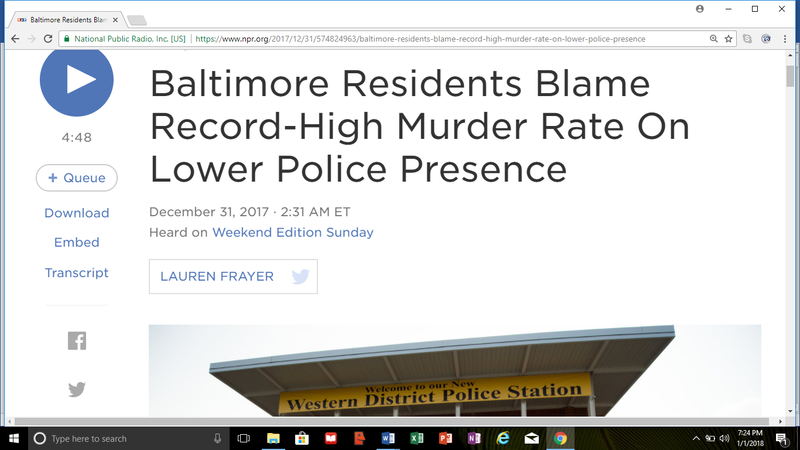 Towns that have fired, cut, eliminated or privatized their police departments have invariably found that crime goes down.